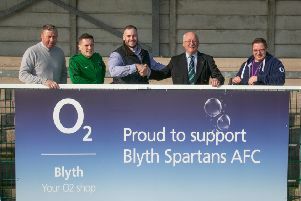 Ashington FC manager Gary Middleton admitted that his side have become embroiled in a relegation battle after Saturday’s 5-2 defeat against Billingham Synthonia at the Motif8 Stadium. Speaking after their latest setback, Middleton said: “Are we in a relegation fight? Our form shows that we are as we are third bottom of the current form guide, above Crook Town and Celtic Nation. “We need the players to start and roll their sleeves up – but we asked them to do that today and I didn’t think we got it over the 90 minutes. He added: “I thought we were second best in all departments and defensively, when we have not got the ball, we are just not good enough. “We spoke about making individual errors and for the first goal we have given the ball away which has left us open. “We got ourselves back in the game at 2-1 then there is another mistake for Billingham’s third goal. Meanwhile midfielder Kieran Egen has joined Alnwick Town.